Botulinum toxin is produced by the Clostridium botulinum bacterium. The toxin used for treatment is highly purified, and manufactured under very strict regulations. It is injected in small amounts using a fine needle to soften lines and wrinkles, by relaxing the muscles controlling skin movements. The overall result is a more rested, smoother look, while maintaining facial expression. The most common areas are the “frown-lines”, the forehead and “crow’s feet”. Botulinum injections can also help with migraine, excessive sweating and facial spasms. Treatment starts with a holistic consultation, identifying your areas of concern and discussing your expectations. The injections can cause some discomfort, which will only last a few seconds. The effects will usually be visible after 5-7 days and last for up to 4-5 months. Dermal fillers contain hyaluronic acid, a natural substance which gives our skin volume and elasticity. Injected in small amounts it will restore lost volume and enhance your facial shape. Fillers are frequently used to enhance lips, soften the nasiolabial lines, smoker’s lines and temporal hollowing. The effect is immediate and will typically last from 6 months to one year. As hyaluronic acid fillers can be dissolved, unwanted results can be corrected. A wide range of fillers are availible in New Zealand. Whangarei Skin Clinic will store products from Belotero® and Teosyal® from January 2019. 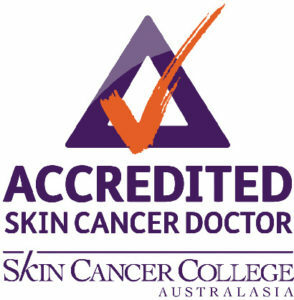 Whangarei Skin Clinic will not offer permanent fillers, due to the risks involved with their application. Unsightly or irritating benign skin lesions can be removed under local anaesthetic using the ‘Surgitron’, a device that uses radiofrequency to shave fine layers of skin. This procedure is atraumatic and leaves minimal scarring. Most effective for treating raised lesions like skin tags, seborrhoeic keratoses and benign moles. Skin needling uses the self healing mechanisms of the body to induce collagen production, and gives the skin a tighter and fresher appearance. The 16 fine needles in the device cause microinjuries to the upper layers while gliding over the surface of your skin. In addition to triggering the collagen production, it also enhances the ability to absorb applied medication. Micro needling in combination with creams and medication can be used to treat acne, scarred tissue, reduce pore size and improve the results of sun damage. The treatment is usually well tolerated with only minor discomfort. Depending on the depth and medication applied, there can be some redness and irritation after the treatment.